Yesterday, I did a fun post describing the Seven Types of Employees You Meet at Best Buy, complete with illustrations by Dan Meth. And now, Best Buy has responded. And they've been spying on me. You'll find this guy on his couch, sporting an ironic t-shirt with a delivery-food stain of some kind. 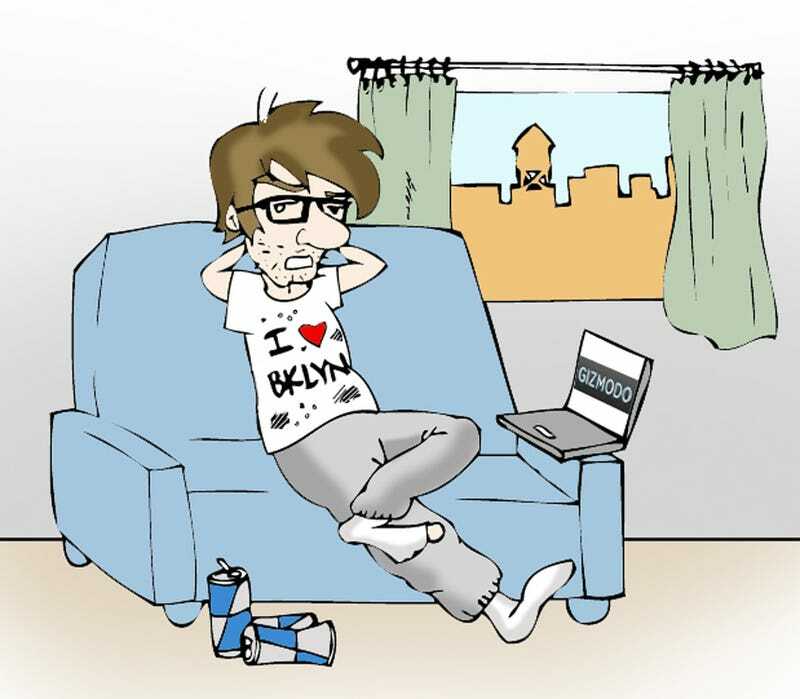 He "commuted" minutes earlier by rolling out of bed and over to his laptop in his shoebox-sized Brooklyn (Williamsburg) apartment littered with empty Redbull cans. He came to Gizmodo 9 months ago after deciding that "traditional media" wasn't edgy enough (read: required pants and didn't like it when he powered down walls of TVs). He only puts on pants in order to put electronics down them, and he gets very upset if you mess with his Star Wars legos. He genuinely believes that the hot PR girl is into him and not just trying to get a post. He overuses the word "fail." Click to viewOK, so I might commute from my bed to my desk, sure. And yeah, I order a lot of delivery. But I live in Prospect Heights, Brooklyn, not Williamsburg! And PR girls love me because I'm charming! Go ahead, ask any of them! Also, I don't wear glasses. Fail, Best Buy. Major fail.